Tom Ford says these tumultuous times pointed him in the opposite direction at New York Fashion Week on February 6 with a collection of gentle, non-aggressive elegance done in simple silhouettes, with some Los Angeles-inspired pops of colour. 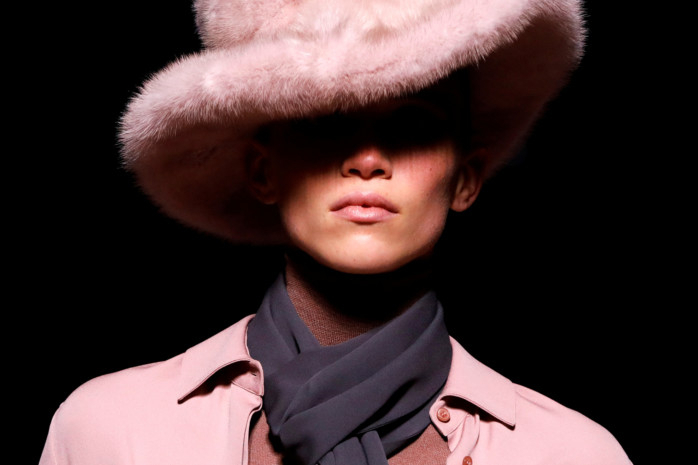 There was a distinctive 70s vibe in fake-fur fedoras with wide brims and fluffy oversized coats. For evening, he did long silk jersey body-skimming dresses adorned with chains of pale pink and lilac that framed shoulders and backs. The links were the only adornment. 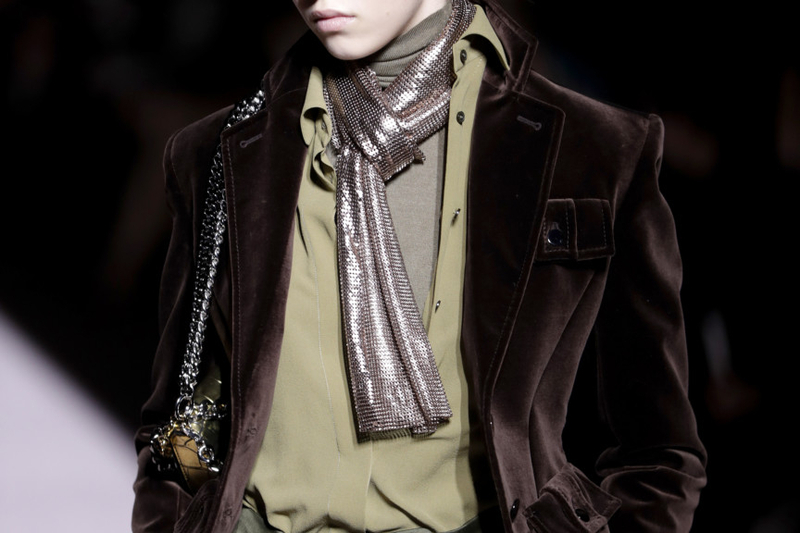 “My acceptance of certain colours has changed,” he said in an interview backstage after the show. Ford also had the 18th century’s use of colour on his mind, along with the touch of American designer Charles James. His clash of reds and pinks evoked the work of Yves St Laurent, a house where he once served as creative director.